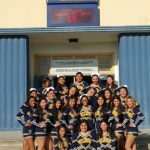 Samantha Lopez and April Cayetamo won a place on the All-American cheer team. Great job girls! 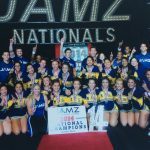 Girls Junior Varsity Competitive Cheer, Girls Varsity Competitive Cheer · Mar 9 Cheer Wins JAMZ National Championship!